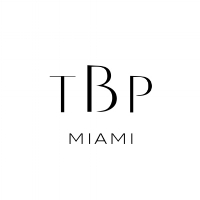 We are excited to offer a unique solution to brides in Miami- a place to both find the perfect wedding dress and also get your body and mind ready for the big day. We are very excited to offer a unique solution for brides – The Bridal Project – where brides not only find the extraordinary vintage wedding gowns, but where they can also find help with other services, like personal training, nutrition, coaching or dance classes. We understand this is a very special journey, one that starts long before you go shopping, and continues right up until the big day, and beyond! We love to share these moments with brides and help them to feel amazing during the entire preparation process and within their unique wedding dress . We truly love what we do, and hope we can share our passion and dedication with you! We can´t wait to welcome you in our boutique! Are you looking for that special dress, a word away from the typical, classic style? Are you always looking for new trends and leafing through bridal magazines? Do you plan to change your wedding dress for the evening, party or reception? Then you might be the Bridal Project´s Bride! Are you thinking of starting a training/nutrition program ahead of your wedding? Perhaps you already go to gym, but you want a personal trainer to help you to tone your body? Or maybe you just want to shed those last few pounds before the big day? Come in and enjoy the experience with us!